Feeling confident in your smile improves more than your smile. A great smile increases your self-esteem. A smile makeover consists of many different treatments, simple and complex. Any of these changes can make a big difference on the way your smile looks. Having the smile of your dreams is easier than you think. Here are some of the most common procedures and how they are done. With a more concentrated formula, the whitening treatments you receive in your dentist's office can get your teeth whiter in a shorter amount of time. A bright white smile is all that is needed for some people. Others like to add it as a finishing touch to their smile makeover experience. 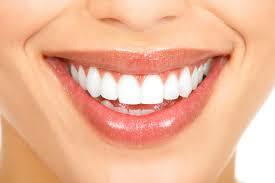 Gum lines are an important characteristic of a smile. Too much gum tissue makes it very prominent and bothers some people, while others have receding gums. Both problems can be fixed by a cosmetic dentist. If you just want to even out your gum line, that can change the look of your smile too. If you are looking for a fast way to fix crooked, discolored, cracked, or chipped teeth, veneers are a great option. These are a thin covering that is placed on the front of your teeth to fix their appearance. The existing tooth is shaved down to place the veneer. This option is available for fixing a single tooth or your entire smile. Too much damage to a tooth can ruin its strength and appearance. To fix both issues, a crown is a common recommendation. Your dentist will grind the tooth down to a post and place a crown on the existing tooth like a cap. At the beginning of the procedure, molds are taken to complement the bite and teeth around it, perfectly. Replacing a missing tooth or row of teeth is best done with dental implants. Your dentist places a titanium rod in your jaw, which heals as part of the bone. After healing, your dentist places a cap or row of teeth onto the post. These are matched to your surrounding teeth and are a great, permanent replacement for missing teeth. Dentures are replacement teeth for people missing a row or section of teeth. There are several different options, including the traditional, inserted appliance and an all on 4 option. Both are made to custom match your bite and can replace missing teeth. Removable appliances wear down over time and break. While some prefer to remove them for cleaning purposes, it is often uncomfortable to wear. All on 4 dentures are a more permanent option. They are called "all on 4" because they are attached to 4 posts which are installed like dental implant posts. The denture or row of teeth are attached to the posts, providing a sturdy fit. They don't require any special care or attention, being treated just like natural teeth. No matter what bothers you about your smile, a cosmetic dentist can fix it. There are so many different options available to getting you the look you want. If you want to feel more confident in your smile, try visiting a cosmetic dentist in your area.